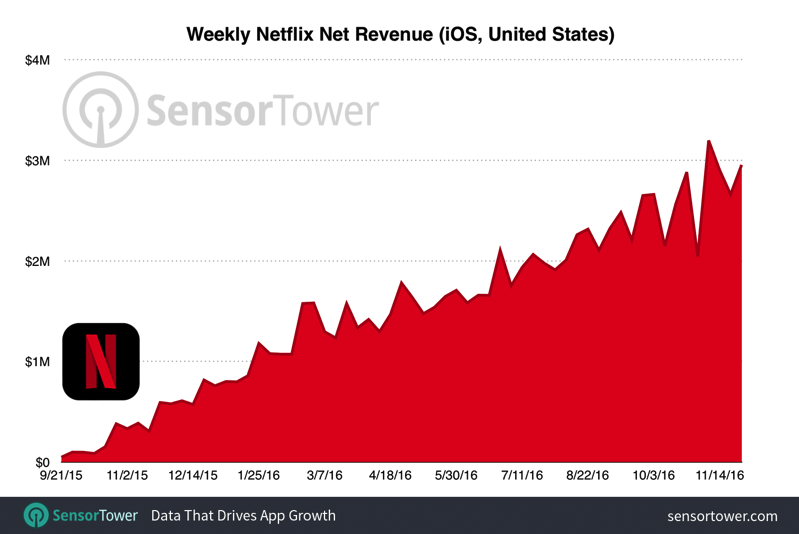 iOS users love to watch Netflix in their private sphere: A year after Netflix allowed iOS users to subscribe to its service via an in-app purchase, the app has hit the #1 spot on the US App Store’s Top Grossing Apps chart, reports SensorTower. 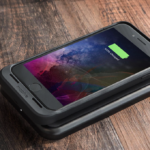 The app was close to reaching that point on November 14, 2016, but ended the day in the second spot. It returned to second place on December 4 and topped the chart for the first time yesterday. SensorTower’s App Intelligence platform followed that of Netflix, as shown in the chart inserted above. Since the fall of 2015, the app has been steadily climbing toward the top position. As of December 5, Netflix ranks #1 in the US, India, Mexico and Colombia. That, of course, also means a steady increase in revenue for Netflix, despite facing challenges growing its US user base, SensorTower notes: A net revenue of less than $50,000 has grown to nearly $2.9 million. 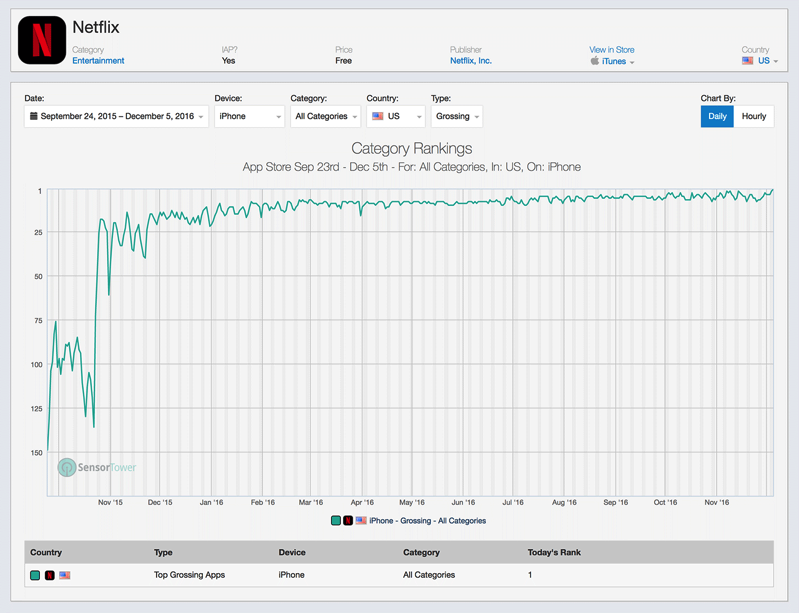 Netflix is the #7 gross iOS app overall in the US. Netflix has recently enabled offline download for iOS and Android users.